This page will collect house rules for the campaign. In sufficiently civilized areas, there are experts in combat that can train characters at a rate of 1XP for 1GP. Magic Users seeking new spells must look elsewhere, but they can spend gold for XP. 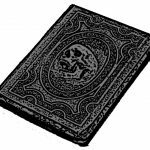 Spellbooks typically contain 50 pages of parchment that allow for 100 pages of content. A book this size weighs about 3 pounds. Spells require one page side per level (e.g. a 2nd level spell requires two pages). To transcribe a spell, a wizard must gather gold totaling the square of the level times one hundred. For example, a 3rd level spell would cost 900 gp in material. The process takes an hour per spell level. When a character goes to zero hit points or below, consult the Save Versus Death tables. Only human men may be clerics. Demihumans may have priests, but only humans have clerics. Clerical magic has only recently appeared in the world and is some sort of blessing on humans delivered by a mysterious being called the anointed one. All magical weapons are intelligent. (Maybe all magical armor, too). The spirit of the universe attends to your thoughts, taking every expressed hope or fear as a suggestion. Nihilistic fantasies consume the pessimist. Extraordinary luck finds the optimist. Spiritual beings in particular find prayers answered. Longer rituals are better. Narcissists make the best villains, and the best heroes have a positive mental attitude. 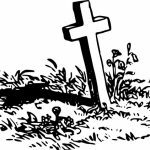 Pick a location from the table about death. Roll d100. If your roll matches that location, roll to hit. Roll damage normally. A successful hit allows you to place the damage in any precise location defined by that location. For example, choose right hand and you can knock a weapon out of someone’s hand or cut off the thumb. If you sleep in metal armor, roll vs CON or all ability bonuses go down one. This is cumulative until a night’s rest not in armor or curing magic. After a week, you need recreation. If you get none: -2 INT, WIS, CHA. Go to low quality place: -1. Average place, no change. Good +1 for 1 day. Places could be a tavern or a relaxing natural spot. Generally, figure (caster level × spell level × 10 gp) plus or minus a fee or discount based on a reaction roll, 2d6 + Level + CHA bonus. On a 2 or less, double the cost. On a 3 – 7, normal cost. On 8 – 11, 10% discount. On a 12, 50% discount. For example, a 6th level cleric is asked to cast Cure Disease, a 3rd level spell. The base cost is 6 × 3 × 10 = 180 gp. The character asking for help is 2nd level and has a +1 CHA bonus. The reaction roll comes out to a natural 11 + 3 to make 15. The fee is reduced to 90 gp. Use the chart for errant thrown oil flasks to determine how a lightning bolt will richochet.